When designing a bathroom, there can be many items to consider from the layout to material and fixture selections. For most, the aim of the bathroom is to have a minimalist look that’s easy to clean, however a focal point is important to add some character to your bathroom. A bathroom focal point can draw the eye to certain areas of the room and evoke personality. 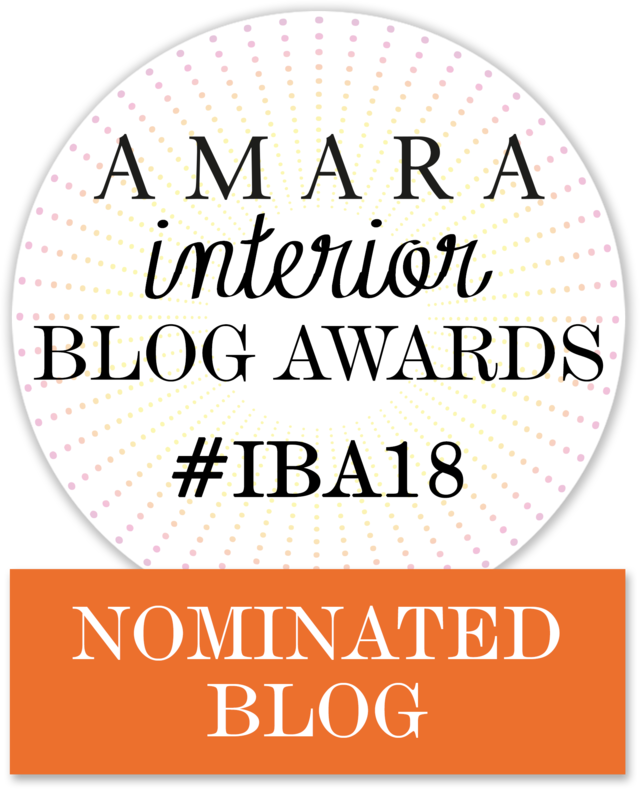 I spend a bit of time each week on Houzz, choosing pictures to fit a pitched article or for my own blog posts. During this research, I’ve come across a few interesting focal points that I’d regard as unique. Most designers will opt for a feature wall (tiles, wall paper or even paint) to block coloured tapware or fixtures. Here are some bathroom focal points that have played on these features and gone beyond the norm. I’d love to know which ones catch your eye. The most common way to add a focal point in the bathroom is with a tiled feature wall. 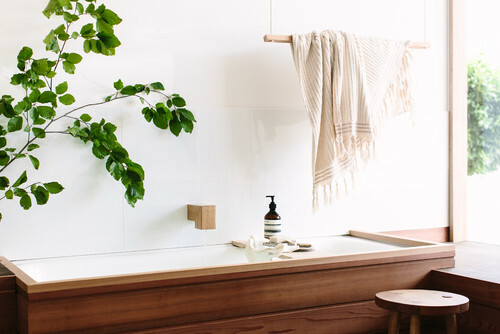 Add some block coloured towels and wham, you’ve got some instant personality in the bathroom. A double vanity basin is slowly becoming to norm for most bathrooms, to allow more than one person to utilise the bathroom at once. What’s interesting in this bathroom is the basins look to be different sizes. Not sure on the reasons but it’s definitely an interesting bathroom design decision that I’ve seen. 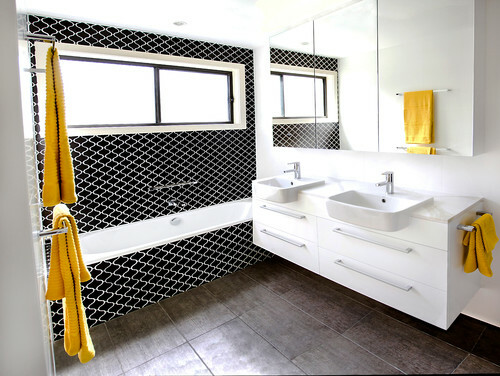 Mosaic tiling can be a great focal point in the bathroom, adding colour and drama. 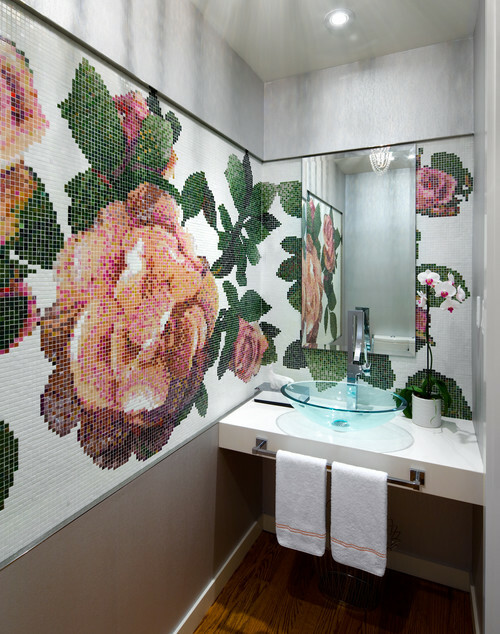 The mosaic tiling in this powder room is stunning. When choosing fixtures with mosaic tiling, go for classics (chrome tap, white basin). There is a lot going on in this bathroom, but I like it and I think it’s quite balanced. The tiled heart and light fitting might not appeal to the masses, but it certainly got my attention. I could see this bathroom being an ensuite or in a day spa suite for couples. The cactus print is on trend right now, so when I saw this cactus bathroom, I thought it looked brilliant. Ensure any wallpaper you install in the bathroom is steam and water resistant to prevent it bubbling off the walls. This particular wallpaper is vinyl – so many not be for everyone, but it still caught my eye all the same. You can purchase the wallpaper on etsy. I could definitely see this rainshower being in a boutique holiday home. 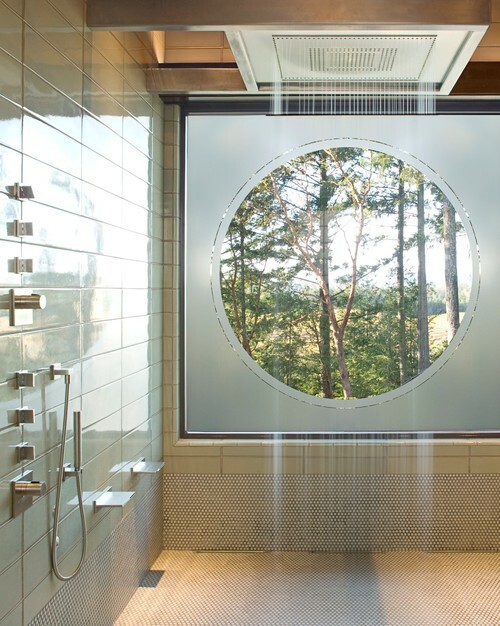 How divine would it be to shower in here overlooking the trees? While this design is not one many would put in their bathroom, a round window can be used as a focal point in your bathroom. 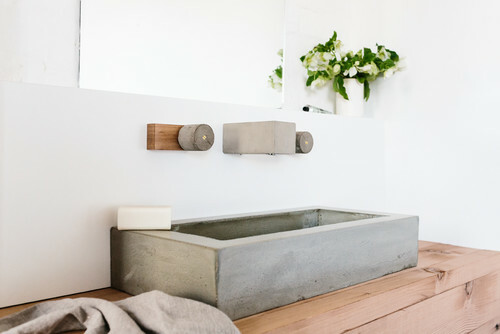 Concrete is becoming more popular for use in bathrooms. I’ve seen it used on floors and the walls, but more concrete fixtures are coming out in basins and free standing bath tubs. The concrete taps in this bathroom below are certainly unique. It’s a raw and rustic look, that can be softened with furnishings and greenery. Anything unusual in bathroom taps and fixtures will lend themselves to being the focal points in a bathroom. We’ve seen timber used in many applications in the bathroom, but this is the first time I’ve seen it as a bath spout. When installed against a plain white tiled wall, the wooden spout certainly stands out. Not only is it a focal point, it is a conversation starter. It’s available in Australia as well. Which of these bathrooms caught your eye? Have you ever thought how bathroom focal points give your bathroom personality?